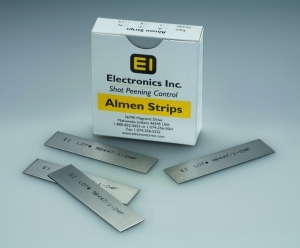 We supply Almen strips and Almen blocks (strip holders) meeting all current specifications. A1-S & N1-S strips meet J442, AMS 2430P & AMS 2432C. These are sold in boxes containing 1000 strips. Each box contains 20 x 50 piece packets. 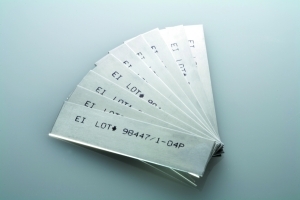 A1 &N1 strips meet J442 and are sold as above but also in BULK format. 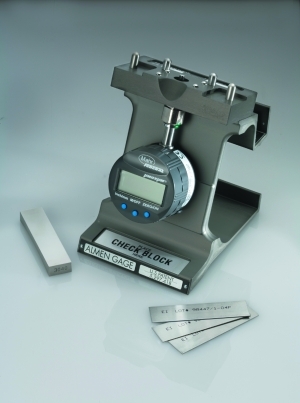 This means that there are 1000 strips contained in a Volatile Corrosion Inhibitor bag inside a sturdy box. Example:- an average price for the minimum quantity of 5000 A1 strips delivered to your door is £2400.00 ex works (Nov 2016) = 48 pence per strip. All Almen strips now have a polished finish and are marked with their LOT number.